Not all leaders leave a legacy of succession but the few who do, possess these qualities: Lead the initiative with a long term view, build leaders at every level of the organization, create an enduring corporate culture with shared values; have the wisdom to know when to walk away from the limelight and; walk away from the organization with integrity. It is said that a leader must be visionary and willing to set the trend. It is impossible to set trends if he resists, ignore or trivialize change. A leader must be willing to not only explore new areas but also be willing to take the first step into a new area. As youths, we are called to lead. 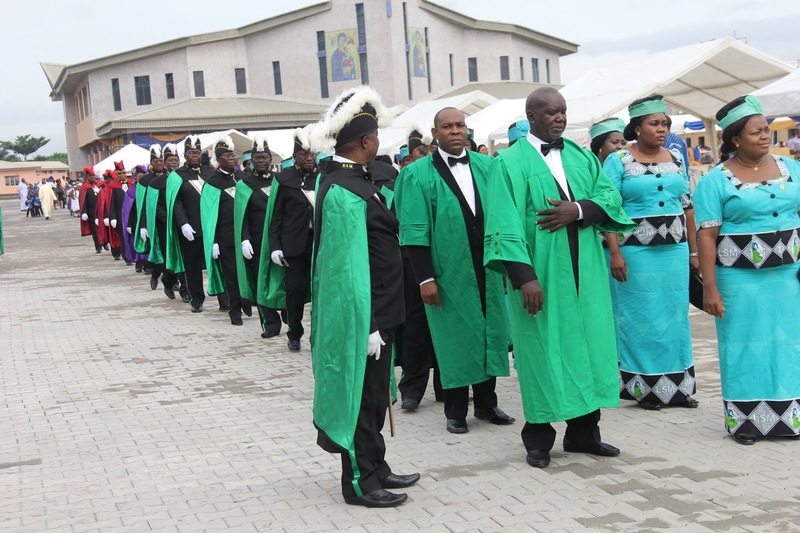 A very good platform is the Catholic Youth Organization of Nigeria, CYON which is an umbrella body for all youths in the country between the agae3s of 18 – 35. Through CYON, we carry out our leadership function within the Church. Perhaps this helps us to further improving on ourselves [reaching within to embrace others] and then spreading out. The Church expects us to be ready at all times to take up various positions and the only way we can do that is to be prepared. We will be Chair of the PPC, Laity Council, CMO, CWO etc.? Change can be described as any shift from the usual or any unexpected event that significantly impact our life. It is a constant factor of life; however our attitude determines whether these changes will be detrimental or beneficial to our purpose and progress in life. We must develop ourselves and prepare our minds for it. Many of us possess various amazing qualities that Church needs in the propagation of the faith and in carrying out its pastoral obligation. The best way to put this to use is through volunteerism. This simply means giving one’s time, talent, treasure and thinking in furtherance of a particular project, cause or goal without expecting financial reward. There are various ways we can volunteer; the choir, lectors, wardens/ushers, altar servers, MOD, cleaning the church, teaching catechism, working as admin staff in the parish officers, information officers, harvest and other committees etc. through these, we bring our personal expertise in achieving the mission and vision of the Church. One of my favorite quotes from 2013 [which has really become a part of me] is participate to learn, learn to participate. Getting involved is quite essential because the Clergy and Religious cannot go everywhere. This means that with our participation in the activities and administration of the Church an initiative can continue to thrive even beyond a defined period of time and with the exit of its founders [sometime Parish Priests or even fellow youths or executives]. It entails thinking of ways to keep a project or an important part of it going on after its official end. ü They feel it is theirs and have a control. ü They are working well. ü They can see positive changes happening because of the project. ü They are learning new skills and increasing their confidence. ü They are recognized for their contributions. ü All the elements of the project such as language, style, pace of work, strategies, evaluation, methods, and resources are suitable and relevant to them. ü Will there be anything left? ü Will they know where it is? ü Will they be able to manage it? It is said of leaders that they cannot be called success unless they have successors. Hence, advanced planning by leaders helps to minimize risk during transitions, and supports organizational sustainability. Just a little deviation, reports say that over 70% of Nigerian businesses and organizations fail to reach their third generations [they actually do not celebrate their 3rd anniversaries] due to lack of good succession and sustainability plans. Brands like Coca Cola, Pepsi, PZ, Nestle etc. have existed for over 50 years and are still waxing stronger. From the foregoing, it follows that those who aspire to become successors should; have earned the respect of different stakeholders within the organization. Fit with strategic needs of the organization. Have the necessary outside experience and education. Are passionate about the organization and the issues it addresses. Back to the matter; now the Church has existed for over 2, 000 years and it seems that only the clergies understand the rule of mentoring as we the lay people do not think of it often hence we faced with crises during elections or even appointments of leaders. Let us mentor people who can take over from us. Even if the older generation has failed in this role, we must take it up and carry it out diligently. · Lead the initiative with a long term view. · Build leaders at every level of the organization. · Create an enduring corporate culture with shared values. · Have the wisdom to know when to walk away from the limelight. · Walk away from the organization with integrity. The church calls us as young people to be a part of it as it is part of us. We have the strength, the creativity, the dynamism and the drive to bear true witnesses to Christ especially in our contemporary world. Those who know their God shall be strong and do exploits for greater is He who is in me than he who is in the world. Take Charge, Take the Lead!! Thank you!! !